Where we came from on our way to tomorrow. Limelight Publishing was started by William Whols in the mid 90's and ran until 2001, when the company became Limelight Media. William"Doc" Grant joined LP as Sales Manager in 1997, took over in 2002 and split off the company's radio unit, and produced Anime in the Limelight on local radio stations KUMU & KORL. 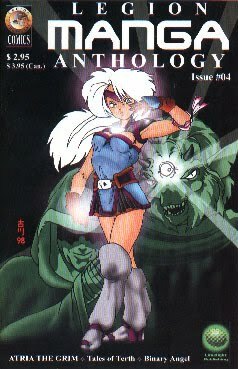 In 2006 the radio unit changed to Lime Media Hawaii (Limelight Media, now a separate company, moved to Las Vegas) and LMH began plans for the Hawaii Star Manga Project. Here is what came before.